The Xbox One, the latest video game console from Microsoft, may be lagging a bit behind the Playstation 4 in terms of sales, but it’s still going strong with a community built on millions of gamers. As with any major player in the console industry, there are now hundreds of different headsets that Xbox One gamers can pick from. Decent cans from big brands such as Turtle Beach and Skullcandy are available in a good number of retail stores. I’m here to tell you that they’ve got a winning formula for game audio at really solid prices. exist, but there are tons of other options from companies like Astro, Skullcandy, and PDP, too. Finding the perfect headset that meets your needs for gaming, comfort, and price can be pretty difficult, though. There are loads of different options to choose from, all of them vary in quality, there are wired and wireless versions to consider, and prices vary wildly from model to model. No worries, though, we’re here to help! Below you’ll find a list of our absolute favorite headset models and more. Below we’ve provided a list of what we believe are the best gaming headsets available for the Xbox One console. Our team has thoroughly tested more than 30 different headsets from multiple brands to determine which ones perform the best. We keyed in on game audio output, chat audio, comfort, durability, price, and more. Use the list below to narrow down your selection and find the headset that’s best suited for you. Superb headset with all the bells and whistles. Astro has quickly become our all-time favorite company for headsets. The A40 is wired which is one of the only downsides, but the headset provides such clear and brilliant audio that it’s hard not to love it. It really enriches your gaming experience no matter what game you’re playing. For FPS games, it’s amazing for picking up enemy movements in your position. For RPGs and open world titles, it’s incredible for really taking in the sounds of the environment, characters, and the overall story. We really love this headset. It comes bundled with a mix amp that allows the user to quickly and easily adjust both game and voice volumes on the fly. Plus, there are three different equalizer settings that can be adjusted for bass, treble, and so on to further customize your game audio. On top of that the A40 is easily one of the most comfortable headsets we’ve tested, too. It’s lightweight and well-padded for both your head and your ears. It makes playing games for hours on end a breeze. Other headsets leave your ears feeling numb or irritated. Plus, the headset is completely adjustable to accommodate nearly any person’s head and it doesn’t slip down after playing for a while either. Unlike other models that feature a mix amp, the Astro A40 gaming headset does not require the use of batteries. The other reason for this, though, is that the headset is completely wired. So, while it’s nice going completely wireless, you do get to avoid buying and swapping out batteries all the time. 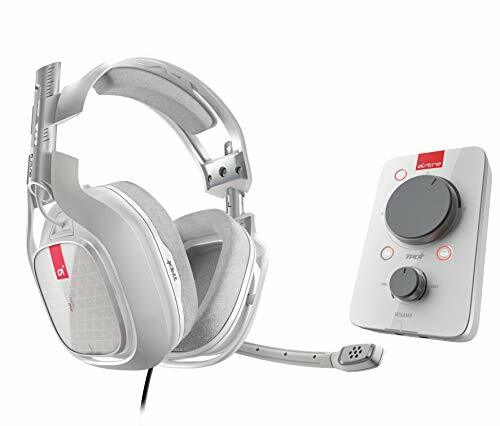 The Astro A40 headset is compatible with both the Xbox One console and the PC. 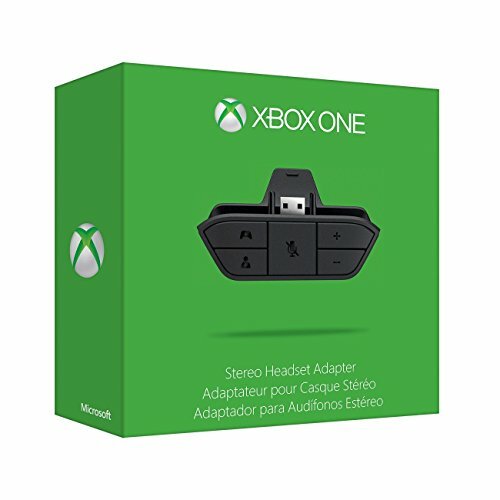 It uses a 3.5 mm cable which can be used on a similar PC input or inserted directly into the included MixAmp for use with the Xbox One. We truly think the A40 is the BEST Xbox One headset available right now. Enhance your gaming experience today. CLICK HERE to get this awesome headset for your Xbox One from Amazon right now! Turtle Beach is easily one of the most respected and recognized names in the gaming industry. They’ve been one of the leading producers of gaming headsets for several years now. Their products are generally fairly good and well worth the money. In our honest opinion, the Ear Force XO is one of their most impressive headsets for the Xbox One. The sound quality of the XOs is phenomenal. The high ends are crisp and clear. The bass thumps and has great clarity, too. Overall, this headset gives you a great audio experience. The only downside is the fact that it’s a wired version. 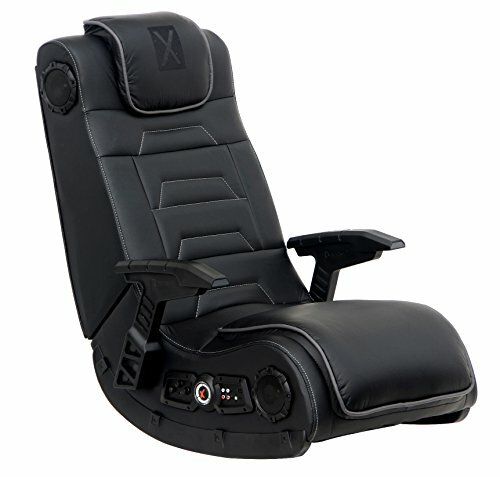 Nevertheless, it provides excellent performance and comfort for a very reasonable price. The Ear Force XO comes with an audio controller that allows the user to quickly and easily adjust both game and chat audio. Plus, you can make use of features such as mic mute, bass boost, and mic monitoring for even further sound customization. Volume is easily controlled, too, view easy-to-use controls. The mic is pretty sensitive so you don’t have to strain your voice while chatting with friends or randoms online. Audio comes through crystal clear as well. There are no buzzing or hissing sounds to be heard. Another big bonus to this headset is the comfort level. The overall design is much smaller and lighter than other similar models. The ear cups feature mesh cushioning that reduce slipping and provide a great feel. The Ear Force XO is an excellent choice for Xbox One gamers that play for several hours at a time. Need more info? CLICK HERE to check out this headset over on Amazon right now! This is the official stereo headset for the Xbox One that is manufactured by Microsoft. The design is rather simplistic, but the sound quality is decent, the headset if moderately comfortable to wear, it features a unidirectional mic that is moderately sensitive, and is super easy to use right out of the box. We used to despise the headsets provided by the makers of consoles. Back when the Xbox 360 launched, Microsoft supplied gamers with an incredibly cheap, easy to break headset that felt awful, had extremely terrible audio quality, and often shorted out after extended use. Thankfully, they company has stepped up their game with the launch of the Xbox One. This new standard headset is much better made and provides a decent audio experience. The sound quality definitely isn’t on the same level as our top four picks, but it’s still decent. The headset is a bit more durable than the 360 models, too, but it’s still not quite as tough as Astro, Turtle Beach, or Skullcandy models. This Microsoft-branded headset is somewhat comfortable, but definitely not ideal for long gaming sessions as it’s not as well-padded as other models. The audio is decent. The high ends are crisp and the low ends definitely provide good bass, but the quality just isn’t enough to rival the others on our list. But, if you’re in the market for a decent headset that is affordable, the Xbox One stereo headset isn’t a bad choice. Want to order this headset? to view current prices, read reviews, and more over on Amazon.com. That does it for picks for best Xbox One headset. New models will likely release this year and we will update this list if and when new headsets outperform the ones mentioned above. Looking for PS4 models? Check out our list of the best Playstation 4 headsets instead!